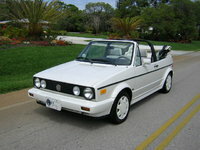 Have you driven a 1989 Volkswagen Cabriolet? Displaying all 10 1989 Volkswagen Cabriolet reviews. I Love This Car — This car is like driving a go-kart. It turns instantly, handles like it is glued to the road, and has a really tight turning circle. Just about the perfect size for a car around the city. I especially like the tall top and glass which gives you a great view of the road except for the rear window which is small. Very dependable, no problems, always ready to go. Parts are still available and are still fairly cheap. Unlike cars of today, this Volkswagen is high quality and things to do not fall off and the engine has given me no trouble at all. The CIS fuel injection is bullet proof and will probably last for 100 years. A really good seating position when driving, and comfortable. Too bad VW's are now mostly junk and not built to last. Looking for a Used Cabriolet in your area? CarGurus has 5 nationwide Cabriolet listings and the tools to find you a great deal. I've Always Wanted One Of These Cars, The Styling Is Timeless — Love cruisin around in this convertible. only 95 horsepower, but gets 30 mpg or better. It's 20 years old and we just got it so we've had to Iron out a few bugs, but this is gunna be a fantastic car. Cons: It could be expensive if you don't know how to work on it. 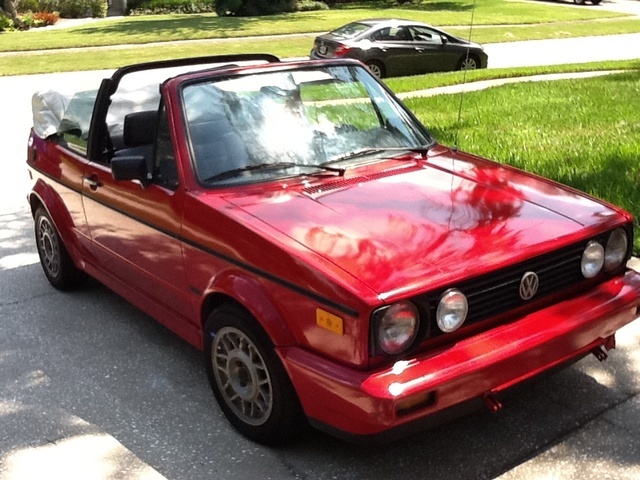 1989 Volkswagen Cabriolet Is Fun And Dependable — Definitely a fun car. The VW Cabriolet handles like a go cart and turns on a dime and has good pickup for VW. My 1989 "Cabby" has 140,000 miles on it almost no repairs and still runs like new. 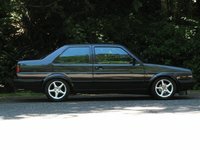 The 89 Cabby gets gas mileage as high as most new similar sized cars. I would not sell or trade it for anything. Pros: Well built, fun, handles great, attractive design, good interior, easy to maintain. 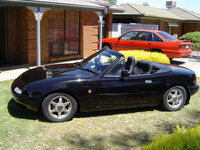 Cons: The convertible top is difficult to replaced due to the padded sound proof design like those used in luxury cars. Summerstatic — Fun to drive on sunny days without a care for a schedule. Turning into an ol'school car, it has no GPS, power this or power that the only high tech you will find in this baby is a CD player, an amplifier and two 10" subwoofers in tha back. Engine would need a bit more power, but it's allright. Cons: Does'nt like winter, tiny trunk, can only seat 4. Getting Back In Shape — I had a vw bug through high school and loved it. I now have a vw cabriolet that was orginally my sisters. I am trying to get it back pre-lil sister shape. Something To Play With On Those Sunny Days — nice little car, dropped 2.5" up front 2" rear, 16" wheels with low pros, custom exhaust, and many things on the to do list. We need more power Captin. I Love My Car — I have owned my cabby for about 5 years now. I bought it from a friend who had to sell. It is by far the most fun car I have ever driven. With the top down, it is the most stress-relieving therapy there is. Because of it's age, it isn't commonly seen, so it is becoming a unique item on the road. The only reason I gave it a 4 instead of a 5 is that, though it is a reliable car, when it does need parts, they are pricey. Also, with the top up (through the winter), the road noise is pretty high. However, mine does have a replacement top, so the original top might not let the noise through as much. However, I could not ask for a better car for me.